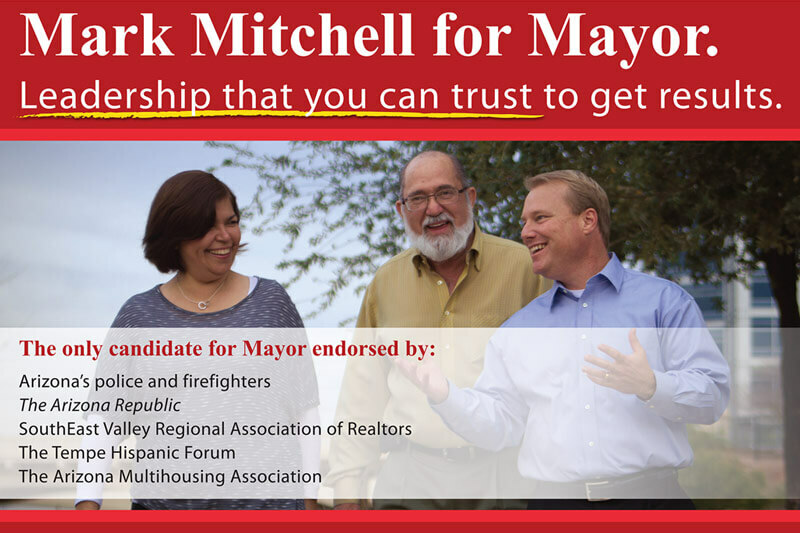 Javelina is proud to congratulate Tempe Mayor-elect Mark Mitchell for his outstanding campaign, which culminated last Friday in a narrow 139-vote victory. As the campaign’s general strategic and direct mail consultant, Javelina helped guide the candidate through one of the most tumultuous races in Tempe history. The victory in Tempe follows on the heels of Javelina’s win last November with Phoenix Mayor Greg Stanton.